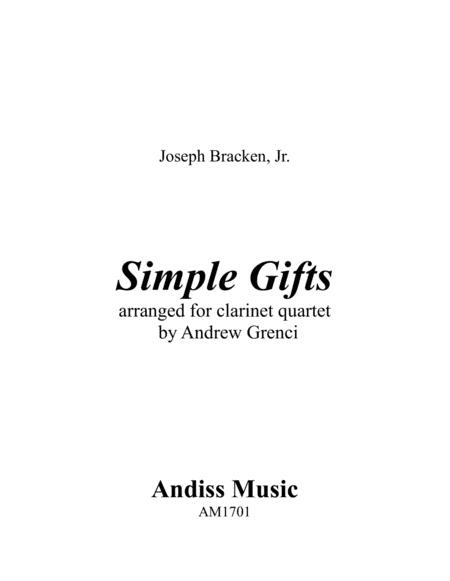 Here is the well known 19th Century Shaker Melody "Simple Gifts" arranged for clarinet quartet. The stylistic emphasis is on "simple," with a continuos eighth note motion in the accompaniment evoking the feeling of a Shaker circle dance. It is delightfully appropriate for school or professional recitals, parties, religious settings, etc. It is playable by high school clarinetists, but can be fulfilling for college students and professionals as well.